Airbnb Reverses Plan To Remove Israeli Settlement Listings On Tuesday, the company said it will allow listings in the occupied West Bank, and will donate all the money it makes from those properties to non-profit humanitarian aid organizations. 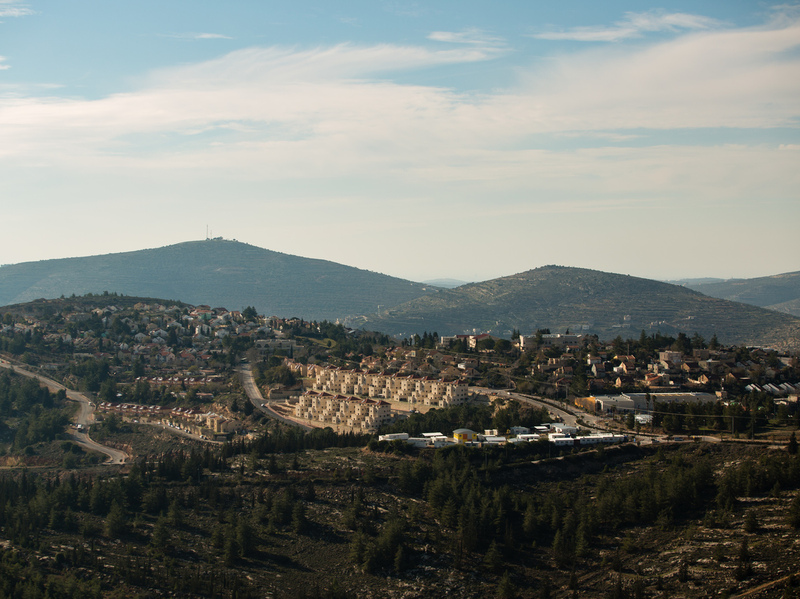 Some residents of the Israeli settlement Eli, shown here in 2016, have rented out properties there using Airbnb. Now, the company says it will allow settlement properties to be listed, and will donate all the money it makes from those properties to non-profit humanitarian aid organizations "that serve people in different parts of the world. "We have always sought to bring people together and will continue to work with our community to achieve this goal," said Airbnb in a statement, adding that it has never boycotted Israel. The company said it will apply this donation model to other disputed territories in the world, like South Ossetia and Abkhazia. Arvind Ganesan, a director at Human Rights Watch, called the company's reversal "disappointing" and suggested its offer to donate profits falls short. "By continuing to do business in settlements, they remain complicit in the abuses settlements trigger," said Ganesan. The rights group said in a post to Twitter last November that it has been pushing Airbnb to leave the West Bank for two years. Airbnb's decision came after the company said it had "settled all lawsuits" brought by potential clients who objected to the company's initial decision to bar listings. The company was sued in U.S. federal court by 12 U.S.-Israeli citizens with homes in the settlements, the Associated Press reported. In November, NPR reported that Israel's minister of strategic affairs, Gilad Erdan, had encouraged people affected by the policy to file lawsuits against Airbnb. "As a provider of a service to the public, Airbnb is not permitted to refuse to provide services to selected religious groups to engineer who it thinks should be allowed to live where," Robert Tolchin, an attorney for the plaintiffs told AP. Airbnb published the announcement while Israelis were voting in the country's national elections. In the days before the election, Prime Minister Benjamin Netanyahu promised to annex Jewish settlements in the West Bank if re-elected.